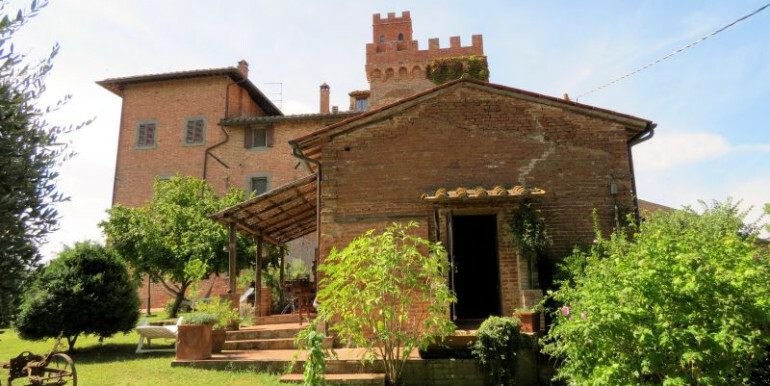 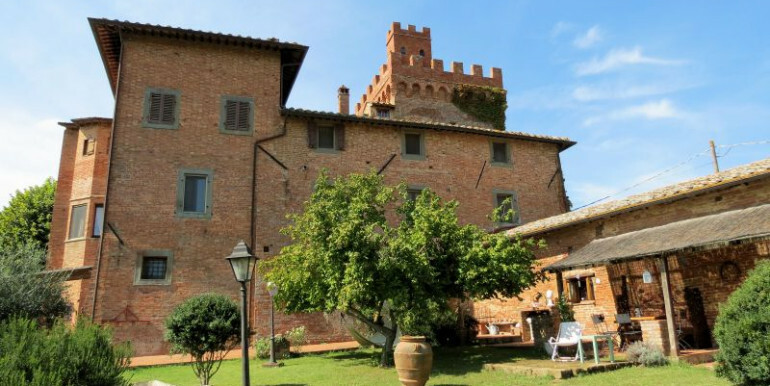 Situated between Cortona and Montepulciano this enchanting castle enjoys the privilege of a wonderful location surrounded by Chianti vineyards in the southern part of Tuscany. 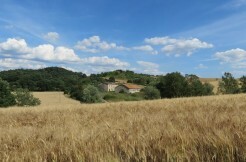 Both the Etruscan and Roman civilizations have left many footprints in this area on the border with Umbria. 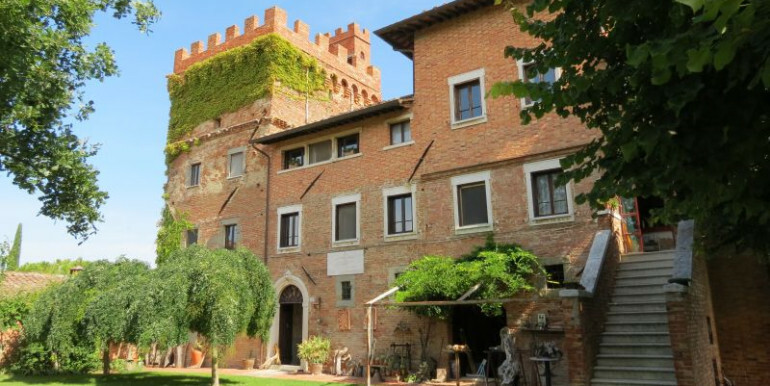 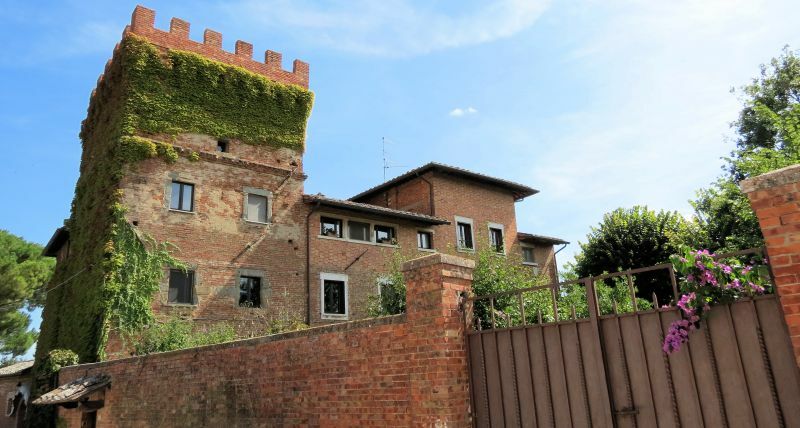 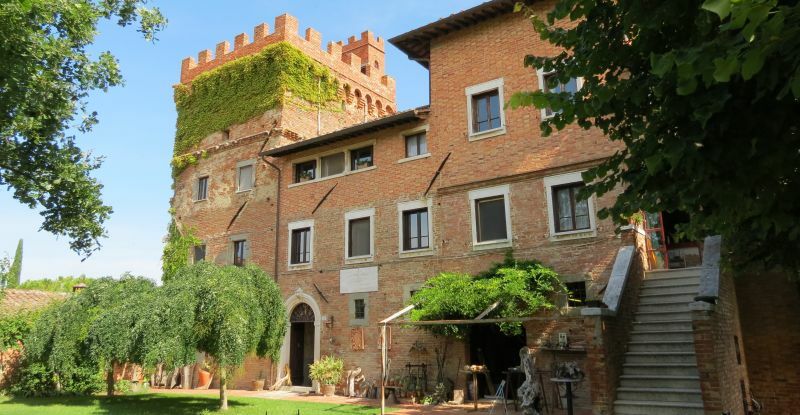 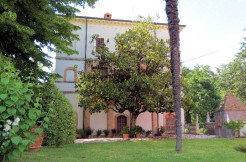 First built in the early 12th century the castle very likely was been part of the Perugian defense belt, today however it shares its hilltop with a charming hotel and operates as an artists residence, gallery and B&B. 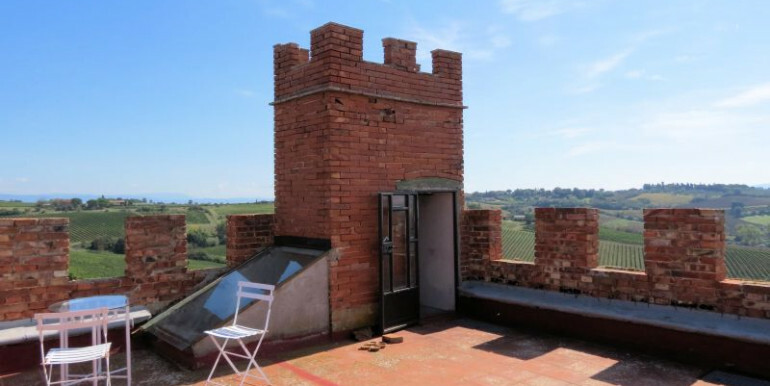 The remarkable crenelated tower has been added in a full scale renovation in 1932. 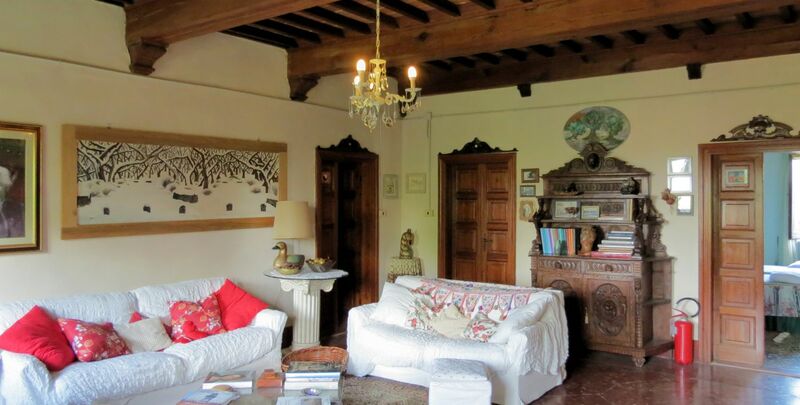 Most of the rooms still feature the ceilings made of wooden beams and bricks and beautiful ancient details are ubiquitous throughout the property. 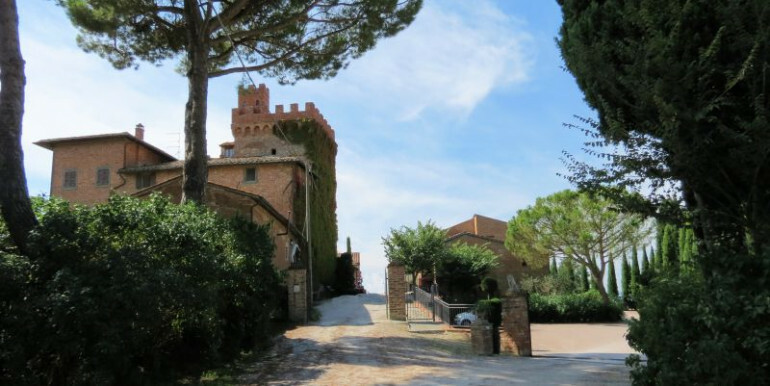 The castle lies at the top of a three hectare plot and can be easily reached from the main road by climbing driveway lined with cypresses. 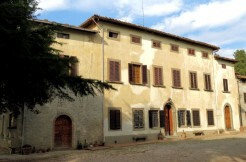 The entrance leads into a large open space which is currently in use as art gallery which has a kitchenette to the side. 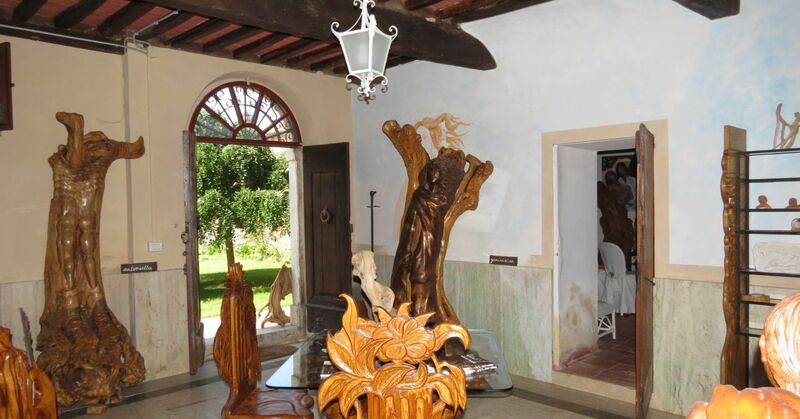 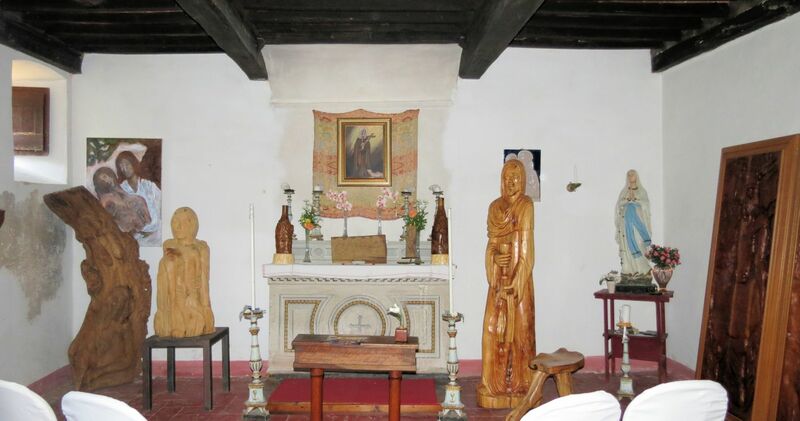 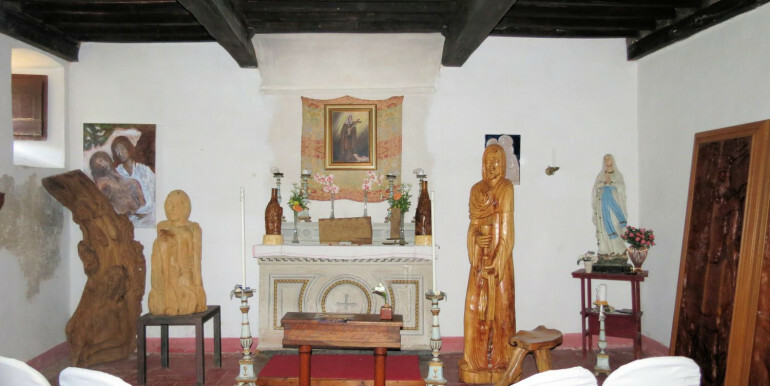 The central hall gives access to a reception room with adjacent a small authentic chapel, an anteroom leading to an art studio, a bathroom and a stone staircase to the first floor. 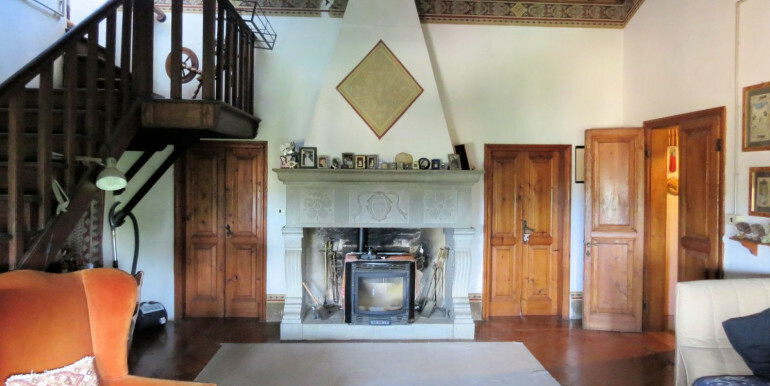 Both the hall and reception room have doors into the garden. 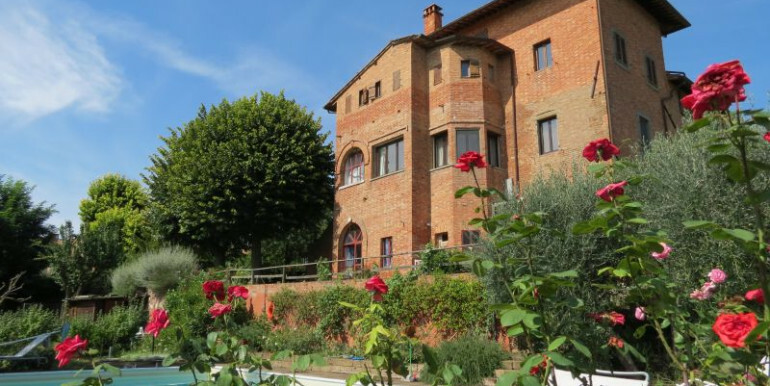 The first floor features a bright living room, four double bedrooms with en-suite bathrooms and lovely views, as well as a kitchen which offers access to the garden by an impressive outdoor staircase. The second floor features another living room with a gorgeous stone fireplace, 2 double bedrooms with a shared bathroom, an additional bathroom and a very large open space currently in use as private suite and art studio with en-suite kitchenette. 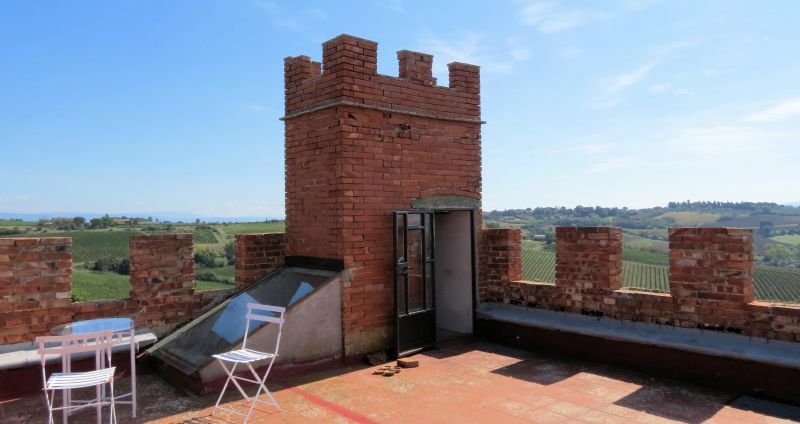 From the living room a wooden staircase leads up to a bright exposition space with a staircase to the roof terrace of the sturdy tower. 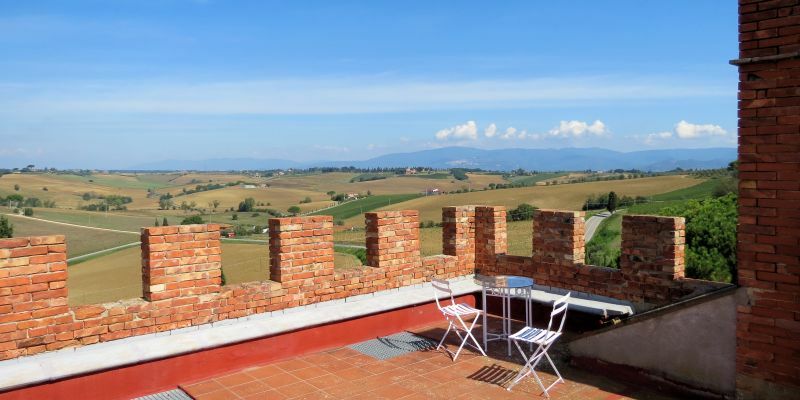 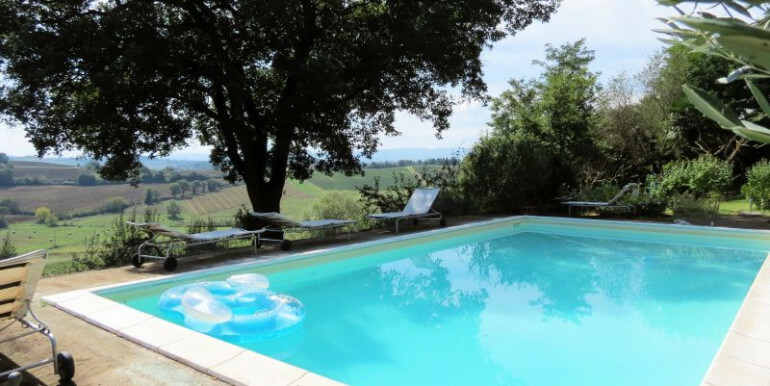 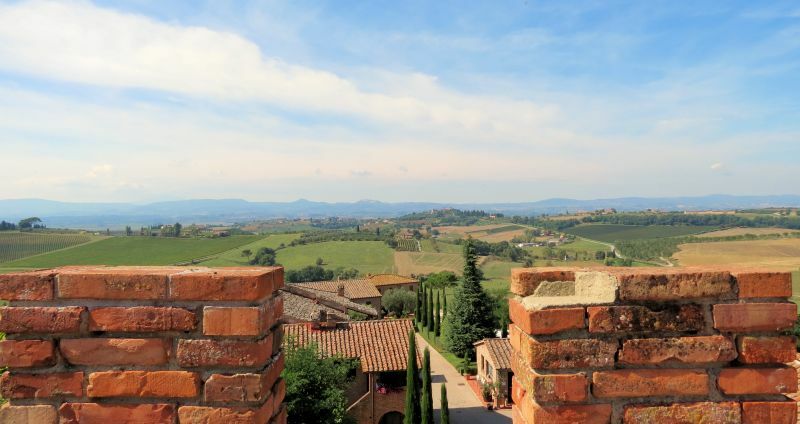 The terrace offers incredible views of the surrounding country side with both Montepulciano and Cortona clearly visible. 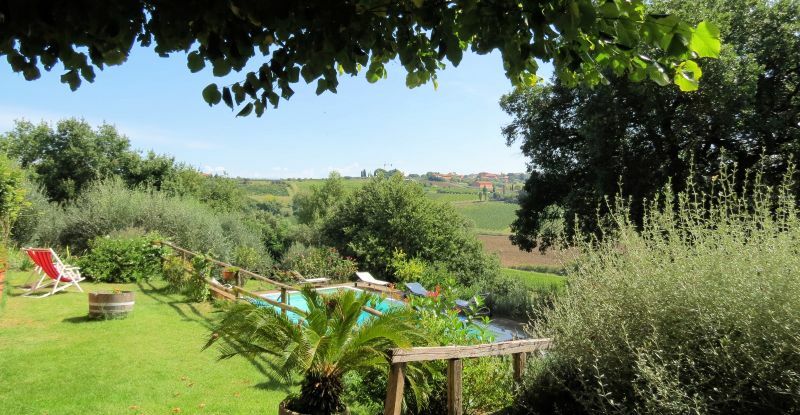 A very nice garden wraps around three sides of the property with the additional land to the side below. 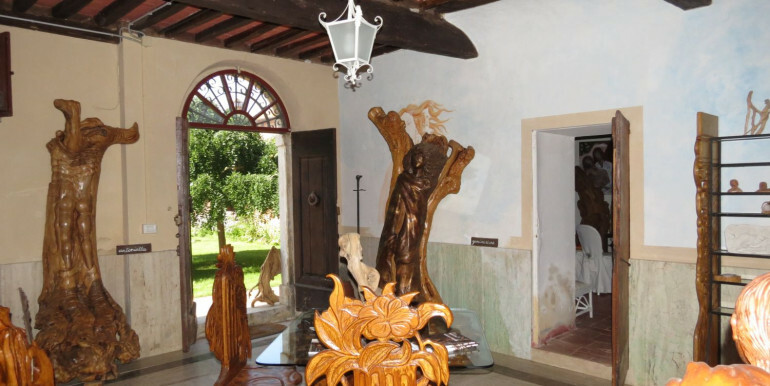 At the back a walled garden with a lawn, mature trees and an artist workshop create a wonderful atmosphere. Around the pool on the side of the castle the setting offers a lovely view while to the front roses, olives and a covered porch make for an intimate outdoor space to read, relax, chat and enjoy. 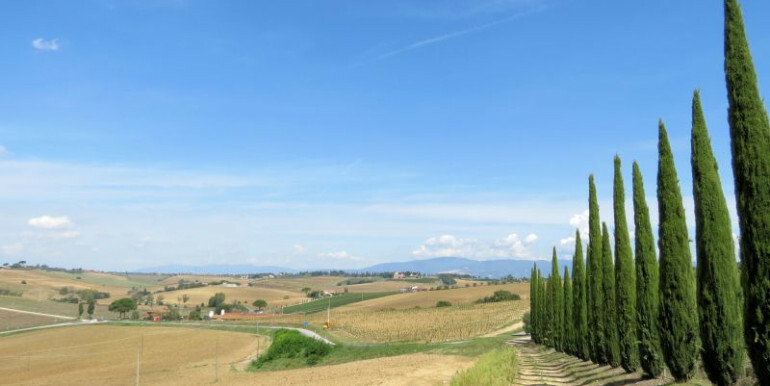 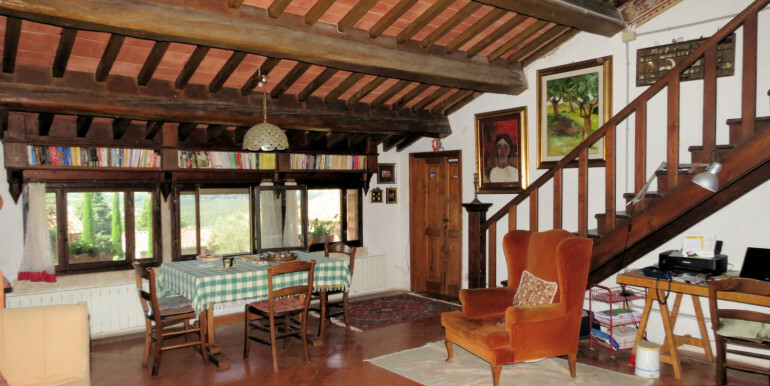 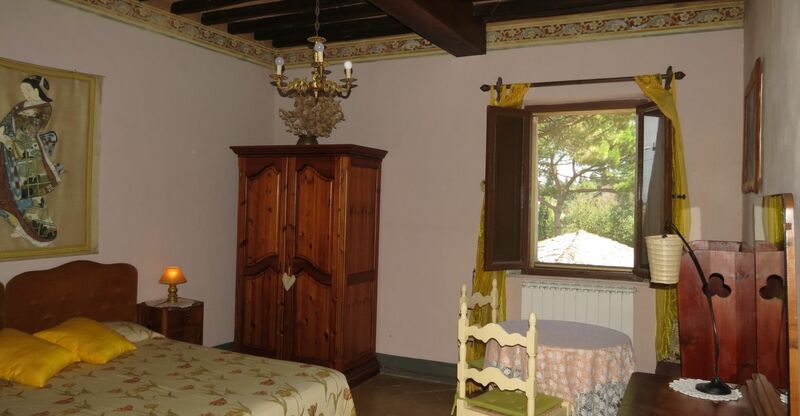 The south of Tuscany is a very central location with all Tuscan and Umbrian treasures and delights within easy reach. 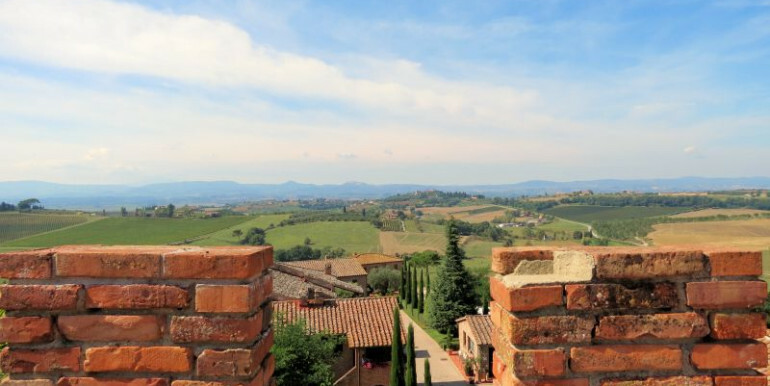 The extremely charming towns Cortona (18 km), Montepulciano (18 km) and Castiglione del Lago (14 km) are all located at a short distance. Perugia, Pisa and Firenze all offer international airports.